You may have recently heard of Timberline Knolls for the high-profile admission of Ke$ha on Friday, January 3, 2014. Or maybe you heard of Timberline Knolls when Demi Lovato was raving about it to MTV when she was discharged several years earlier. Both of these and many other celebs are drawn to Timberline Knolls for their quiet, discrete environment with a good reputation for getting young women healthy. We take reviews from the internet lightly since they could have been written by competitors (yes, that really happens), written by staff posing as program alums or written by actual alums. Unfortunately - there's just no way to know for sure so be cautious when considering the reviews. Most of the negative reviews for Timberline Knolls across these sites indicates pretty good clinical program, really nice setting, but super high pricing which may not be very transparent (not currently listed on their site) and significant problems with the Timberline Knolls administration for various issues. They admit women ages 12 - 60’s to extremely discrete care (lots of celebrities). Timberline Knolls recognizes that recovery from eating disorders, addiction and the other conditions is a lifelong process for women. Women require different tools as they move through different phases of life. Their customized program addresses the unique treatment needs of women at various stages of life. Many adult women come to Timberline Knolls after having been in recovery for many years. They offer programming tailored to the specific needs of mature women, including those of mothers with children at home. Many clients come to them having been triggered by complicated life events like a death in the family, divorce or significant career challenges. Residents live in separate lodge settings based upon their age. Adolescent girls attend school at the state-approved Timberline Knolls Academy. They benefit from the tight integration between the classroom and a therapeutic living environment that supports their social, developmental and clinical needs. Check out their video here. timberline-knolls-campusTimberline Knolls (40 Timberline Drive Lemont, Illinois 60439) is located on 43 wooded acres just a few miles southwest of Chicago, less than a half-hour's drive from either O'Hare or Midway Airport. An interesting side-note: The campus received recognition for its beauty from the American Institute of Landscape Architects. The tranquil grounds contain a lake and reflecting ponds, an historic art studio, comfortable contemporary residential facilities, and outdoor activity fields. Residents are housed in one of four residential lodges, (Oak, Maple, Pine and Willow), which are staffed 24 hours a day with nursing and clinical support staff. Timberline Knolls also employs on-campus security staff 24 hours a day to protect the safety and privacy of both residents and staff. $875 per day. The daily rate is inclusive for all clinical, educational, psychiatric, behavioral/milieu, nursing, and expressive therapeutic services on a 24 hour, 7 days a week basis. 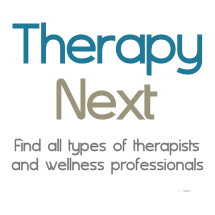 Individual, family, and group therapies are included. It also includes all meals and lodging. The daily rate is based on a tuition model of monthly billing. Non-included services are off-site medical services such as pediatrics, gynecology, dentistry, dermatology, hospitalization, urgent care, emergency care, urine/blood/lab work, etc., and medications. If any of these services are required, the specific provider of those services will directly invoice the parent(s)/guardian(s) or their insurance.